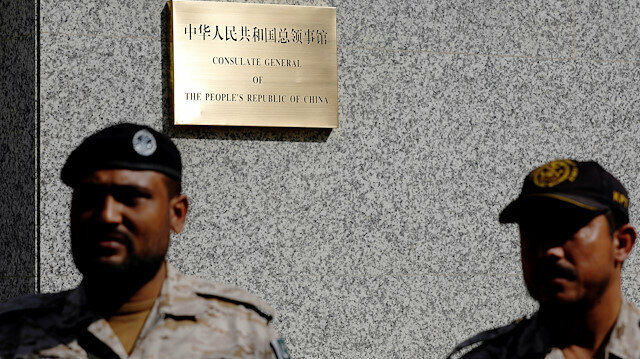 Police on Friday claimed that a brazen attack on the Chinese Consulate in the port city of Karachi was planned in neighboring Afghanistan with help of the Indian intelligence agency. City police chief Amir Ahmed Shaikh said in a news conference the attack aimed to sabotage China's multibillion dollar Belt and Road Initiative project in the country. Shaikh said five facilitators, who allegedly transported weapons from the western city of Quetta to Karachi and provided housing to the terrorists involved in the attack, had been arrested from various parts of the country. Pakistan and Afghanistan have long been accusing each other of patronizing militants on their respective soil. Seven people, including three armed assailants, who stormed the heavily-guarded consulate in November, were killed in the attack. Balochistan Liberation Army, a separatist militant group which has been involved in attacks on Chinese workers in recent past, had claimed responsibility of the attack. China Pakistan Economic Project, signed in 2014, aims to connect China's strategically important northwestern Xinjiang province to Pakistan’s Gwadar port through a network of roads, railways and pipelines to transport cargo, oil and gas. The project has faced resistance by militants in southwestern Balochistan province who claim the government has neglected their interests.